​Calvary Baptist Church and Encounter Church. This congregation was formed 50 years ago by a small group of about 30 men and women who were concerned about the liberalism hat was evident in the American Baptist Convention and had become evident in the practice of the Stamford Baptist Church. They mortgaged their homes in order to raise the money to fund this church. The history of this church records that by the grace of God this small group of believers were able to “Incorporate as a church, call a full-time pastor, purchase a parsonage for $22,000, obtain a meeting place to hold its regular services and related activities within a period of six months.” The first pastor was Reverend William Henderson who served from 1954-1963. The second pastor was Reverend James Miller who served the church from 1963 to 1972. Pastor James Miller learned of a church building in Darien that was for sale by the Methodists. The building in which we are now meeting was purchased around 1968. The Reverend Anthony L. Gibson was called to be the Pastor in September 1974 and the parsonage in Stamford was sold and one was purchased in Darien. ​God has been faithful to us through all of these years. We have an excellent reputation in this community and although we are not large we are very influential. The greatest days are still ahead for this congregation as together we witness the outpouring of the Holy Spirit upon our evangelism efforts. Encounter was birthed out of a passion to create a different kind of church, a church that would be biblical in our beliefs and practices and highly relational in our ministry. We believe God has called us to demonstrate an incredible passion for Him and a compelling compassion for our local and global community. Our goal is to create environments where people of from every culture and background can come together to experience an authentic encounter with God. We're not worried about what people wear or where they've come from. We just want to connect with people and help them connect with God. We believe that God is about seeing lives radically changed and altered. He is the One that created us. He knows the things He has planned and designed us for. Our challenge is to walk embrace the path of Life He has laid out in front of us. And that's why we're here! All of us are on a spiritual journey. All of us are walking through life looking for meaning, purpose, passion and direction. We believe those things can only be found in a relationship with God through faith in Jesus. 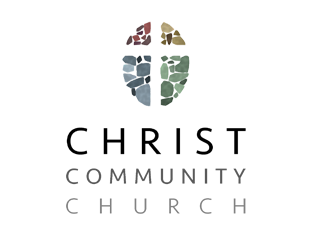 Christ Community Church . . .
Read about our vision and beliefs. Meet our elders, staff, and leaders. Our Sunday service is at 10:30 a.m.